Collinsville Public Schools has completed the site selection of the candidates for CPS Teacher of the Year. The following educators will now go through the district selection process on 2/28/14. The District Teacher of the Year will be announced at a later date. If you have any question please call Cara Jones. LaWana Carl -- Herald Elem. Dana Banning -- Wilson Elem. I am honored to have been chosen by my colleagues as Teacher of the Year for 2013-2014 at Collinsville Middle School. I graduated from Owasso High School in 1987, and my college years were spent at Tulsa Community College, and the University of Oklahoma. I have been married to Sean Cross, a 1987 Collinsville graduate, for 22 years. Our children are Bree Cross, a soon-to-be 2014 Collinsville graduate, and Connor Cross, a future 2016 Collinsville graduate. After marrying and beginning my family, I returned and completed my bachelors degree in Business Accounting from Langston University in 2000. I worked in the accounting field before making the change to education in 2007. The main reason I made the change to education is that I love the challenge of learning and the challenge of the students. I love to watch them learn and to learn from them. My classroom is a place where everyone begins the same. On that first day of the school year, everyone is a blank slate. I love that first glimmer of the ah-ha moment as it turns into full understanding. I get the privilege, every year, of watching those blank slates absorb knowledge and begin to shine and prepare to make a mark on their world. Outside the classroom, you will find me at many school activities cheering on not only my children but all Collinsville students as well! My family and I enjoy traveling and have experienced life in Europe, the Caribbean, and many places in the United States, but we always find our way back home to Collinsville. I have spent the past 6 years teaching at Collinsville Middle School, where I am surrounded by a wonderful, supportive, caring community of friends and co-workers. To all of these people, I would like to say thank you for allowing me to represent them during this school year. Education is the foundation of greatness, and I plan to continue to be a part of the beginning of greatness in Collinsville for many more years. I grew up in Picher, Ok and graduated from Picher-Cardin High School in 1980. I attended NEO in Miami, before transfering to NSU in Tahlequah, where I earned my Master's degree in 1990. Kevin and I have one son, Skylar. When we aren't watching Skylar play his guitar, we enjoy going to car shows, or cruising in Kevin's classic car. I started my teaching career in 1985 as a Speech-Language Therapist with Miami Public Schools. In 1988, I moved to Tulsa and became a Collinsville Cardinal. I have worked as a Speech-Language Pathologist and Special Education Teacher with the district for 26 years. Five and a half years ago, I was given the opportunity to move from the middle school to Wilson Elementary. Both nervous and scared, I accepted and started my new journey with 1st and 2nd grade special education students. Wow (recess, class parties, field trips, bulletin boards)!!! What a journey!!! I am very honored to represent such an outstanding group of teachers. Wilson Elementary is the best. I have been blessed to work with some of the most amazing students. There is absolutely nothing that compares to watching a child's face light up as they achieve a milestone in their educational journey. I am thankful for the parents that allow me to be a small part of their children's lives. I LOVE MY JOB!!! As an educator, I feel a quote from Michael J. Fox say it all: "If a child can't learn the way we teach, maybe we should teach they way they learn."" My name is LaWana Carl. I am a married mother of two daughters, and have lived in the Collinsville/Owasso area for the past fourteen years. I'm a graduate of Guthrie High School and Oklahoma State University. I previously taught 5th grade in the Owasso school district for ten years. Then, following the birth of my second daughter, I took six years off to be with my family. My little one started school four years ago, and I restarted my teaching career with Collinsville Public Schools at that time. There are many things I love about my career as an educator. I especially enjoy those little moments when you can see that a child understands a new concept, and the excitement they experience when they get it. Now, I've been teaching long enough to have had students graduate, move on to college and start careers of their own. I love hearing about their successes. Another reward that comes with my job are the relationships I've developed over the years with my fellow educators and administrators. These are friendships that I'll cherish for a lifetime. Midway through my career, I can see my original goals coming to fruition. I remember stating on my first resume, I want to positively impact children's lives, and instill in them the desire to learn. Over the years, that goal has remained the same. Someday, I plan on retiring as a classroom teacher, enjoying the satisfaction of having had a worthwhile career. To know me well, you'd need to know the following ... I love OSU football. If choosing between dogs or cats, I choose both. My favorite food is Mexican. I enjoy singing and good movies. Some people are surprised to find out that as a kid I sold bait and firewood at my grandpa's shop. I like to travel but I love coming home to Oklahoma. I love my students and Herald Elementary! My name is Kelly Overholt and I teach Kindergarten Prep at the Collinsville Early Childhood Center. I earned my Early Childhood Education degree from NSU and have now been teaching for 16 years. My first 6 years were spent teaching Pre-K for Tulsa Public Schools where I learned so much about being a teacher. In 2003 I was fortunate enough to be hired for a position in Collinsville and quickly realized this is where I belong. I grew up in Tulsa and my family moved to Collinsville when I was a senior in high school. I soon fell in love with the boy next door and weve now been married for 15 years. My husband, Chet, grew up in Collinsville and both of our children, Kaylee and Zac, attend Collinsville High School. Between soccer and baseball, we spend quite a bit of time at high school sporting events. I also love to read, watch movies, and have been involved in Girl Scouts for 32 years. I also love to camp and explore the outdoors on trips with my family. I love to teach!! I love being a part of one of the first educational experiences students have. I was given the opportunity to develop the Kindergarten Prep class two years ago. Im very happy to report that it has been extremely successful. I love helping them learn the basic skills they need to go to Kindergarten and watching the light in their eyes as they learn new concepts. My goal is to always strive to become a better teacher by learning new things from my fellow teachers, workshops, and also from my students. 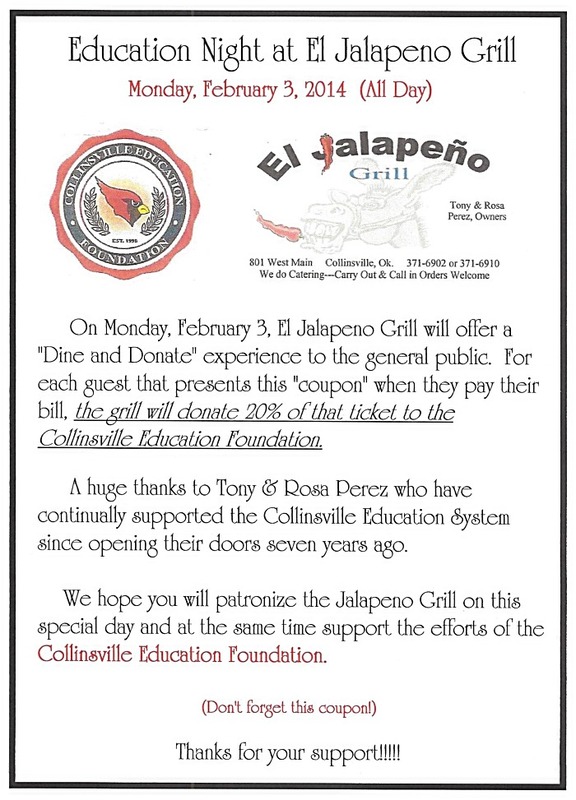 I truly love being a part of the Collinsville community and school system and know this is where I always want to be. What I love about education: I love education for several different reasons. First, and most importantly, I value the relationships I have with my students. I thoroughly enjoy getting to know and trying to connect with each one of them. Plus, being around one hundred teenagers makes for very fun and interesting days. Second, I enjoy the challenges that being a teacher can sometimes bring. Algebra can be a very difficult subject to learn, so I must be innovative and find various ways to present concepts to ensure every child can understand it. Third, I cherish how rewarding this profession can be. My goal is to make a positive impact on others daily, whether that is helping students gain a little more confidence or just making a difficult subject fun. I consider myself very blessed to have a passion for this career, especially in such a great community and school district. Personal or Professional Goals: Although I very much enjoy teaching mathematics and do not foresee myself leaving the classroom any time soon, I am working on a Masters in Educational Leadership in hopes that I can aspire to gain more of a leadership role in education. I would love the opportunity to have a larger impact on teachers and students. Fun facts, hobbies, etc. : I am an assistant volleyball coach and head girls golf coach. I enjoy reading, keeping up with current events (particularly in education), spending time with family and friends, playing sports, going on mission trips, and cheering for the OSU Cowboys.